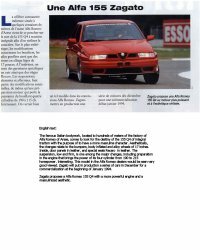 The Alfa Romeo 155 magazine article page. Single page article on the Alfa Romeo 155 Ti-Z Q4. French and English. 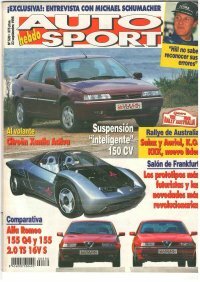 and the Racing 155 GTA, in Spanish. 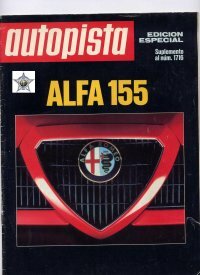 An overview feature on the new Alfa Romeo 155 range. A short review of the new Alfa Romeo 155 Q4. and Audi 80 competition, both road and track versions. 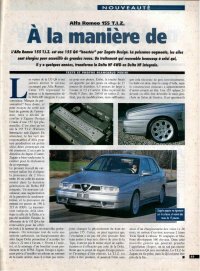 A comparison between the widebodied Alfa Q4 and 2.0 16v from Sept 1995.